Android sure has given the technology a new dimension, having it running on the smartphones, the tech giants have given the users a plethora of features under one shed. You may be using your smartphone to minicomputer, for your photography purposes, or you may use your various applications on your Android device to ease your everyday life, and most of all the device serves your phone activities for sure as well. The world of Android is just so vast. Android devices pack up massive features and in no way you’re going to face any limitations, but you may lose the charm of unleashing the power of your Android-powered smartphone once your device becomes battery hungry and it drains it up quickly. Although the newest devices are coming up with huge battery buckets, Samsung, HTC, Sony, LG, Motorola and even Apple have gone out of the sphere with the battery amount in their devices, but even that is not enough sometimes to last for a day and let you perform all of your tasks. Google has done some work in order to enhance the battery life on Android device as well, there have been some big improvements as the Android versions improved with time, Android Jelly Bean, KitKat and now Android Lollipop, according to Google have a better battery life, but that might still be able to satisfy the users. There can be certain reasons behind draining up your device’s battery. At times the application that you’re running consumes some extra battery, sometimes the CPU and GPU sources that are being utilized by that specific application or processes running on your Android device makes them consume the battery a little fast and at times the culprit is the battery itself. But as far as you’re sure that there your device or it’s battery isn’t malfunctioned, there’s a chance for you to have a fix around it and get some extra performance from your device. That is what the calibration of your Android’s battery will do. 1 What does the Battery Calibration do? What does the Battery Calibration do? Battery Calibration basically resets the battery stats of your Android device and tells your Android system to catch the new battery stats from the stats. You must have seen the battery panel under your Android smartphone’s settings that displays all of your battery stats. At times it might act weird and it might show you distorted information, which might also mislead the OS of your device and result in interrupting your activities as it will probably result in eating up a huge amount of the battery level, or it will result in shutting it down instantly. This is what exactly happened to me after I got my hands on my Galaxy Note 4 and it would instantly shut down at times. The reason behind my Note 4 to act like this was staying dead for long inside its box and the battery lost its calibration, and it had to rebuild its battery stats file in order to work properly and I got it working right. This happens to a big issue and keeping it in view, I’ve compiled up the methods to Calibrate Battery on Android for non-rooted and rooted users that were found to be working properly. Let’s go through em’ one by one now. Calibrating the battery is much easy for rooted Android users, but just in case you’re unaware of rooting methods and the root access, you may want to follow a method that requires a little fewer tweaks. Although this method is tedious, you are left with no other choice except using this one. Let’s go through the method and get it done. First of all, you need to turn on your phone and charge it to 100% completely. It is recommended that you charge your phone for an extra 30 minutes once it’s on 100%. Unplug the charging cable and turn it off completely. Now plug the charging cable back in again and charge your phone for at least an hour more. Turn on your phone and charge it completely for an hour more. Now once again unplug the charging cable and turn off your phone completely, and then plug the charging cable in the phone again and charge it for an hour more. Once you’re done with this, turn on your phone and use it ordinarily. Do not charge your phone unless the battery has been drained up completely. Charge it to 100% once the battery goes dead. That’s all. Your device should be working better than before now. Let’s head towards the method for rooted users if you happen to be an Android pro. Go to Google Play Store and install Battery Calibration application. Now charge your phone to 100%. Having the battery full and keeping the charging cable plugged in, open the Battery Calibration application from the app drawer. Once the app pops up for SuperSu rights, grant it. Once you’re in the application, press the Battery Calibration button. Now perform one complete battery life-cycle in order to make it work properly. Let it drain completely and then charge it to 100%. What the battery calibration application basically does is, it deleted the batterystats.bin file. That’s the only way to let your OS create a new file and wipe up previous stats. Just in case you the Battery Calibration application is out of your reach, you may consider using a root explorer and delete the batterystats.bin file manually. Deleting this file will cause no harm, as your device will automatically create a new batterystats.bin file once you plug-in the charger or you simply reboot it. 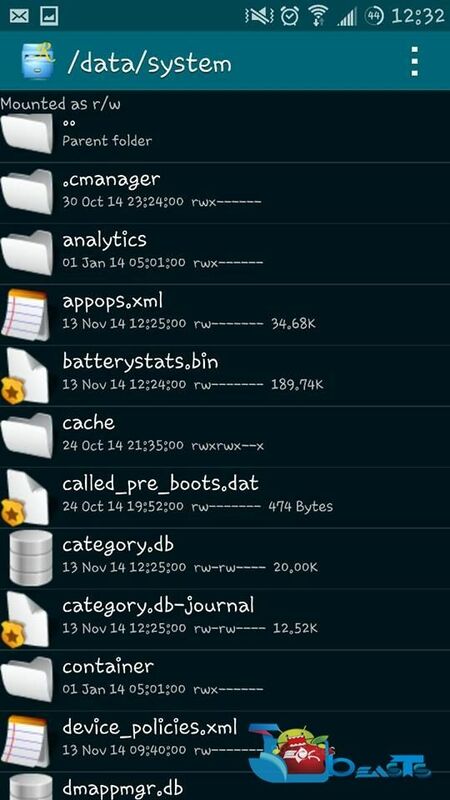 Download and install Root Explorer from Google Play Store. 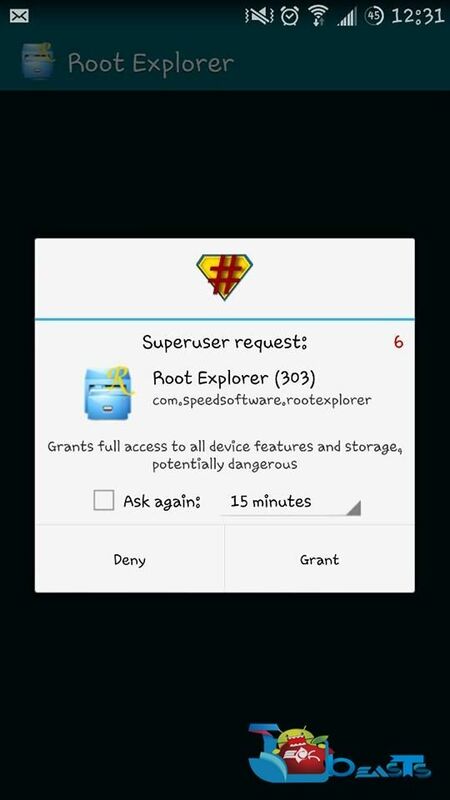 Now open Root Explorer on your Android device. Go to /data/system folder and locate the batterystats.bin file. Now restart your phone, charge it to 100%, let it drain completely and then charge it back to 100% in order to complete one battery life-cycle. That’s all. Your battery should be working much better now. Using the advanced options in the custom recovery allow you to perform this very task as well. You need to have a CWM or TWRP recovery installed on your device in order to wipe the battery stats using it. Let’s learn how you can do this. Make sure that you have a custom recovery installed. Now boot into the custom recovery on your Android device. Access the “Advanced” or “Wipe” option in CWM or TWRP recovery. Perform one complete battery life-cycle. If you’re a custom ROM freak, you may always consider wiping up your battery stats as any previous battery stats file will result in causing a conflict and won’t let your new system work properly. That’s all with the battery calibration methods for now, in case you think that we’re missing out something, make sure that you reach us by utilizing the comment box below. Thank you all.